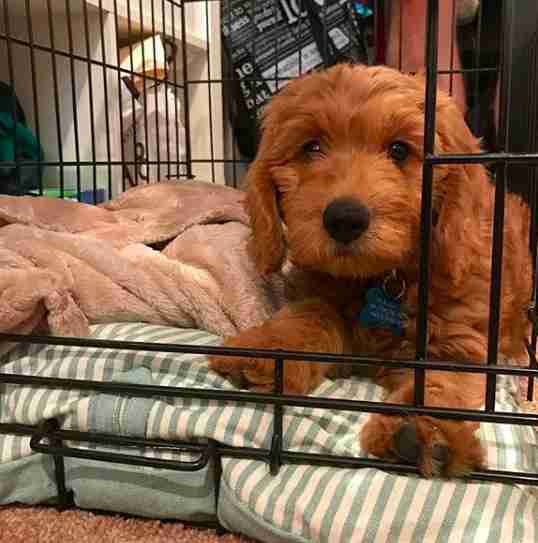 “He’s brought tennis balls, bones, peanut butter jars, one of our couch pillows ..."
When Bentley first arrived at his new home, he had two prized possessions: a stuffed dog and a tan blanket. These two items carried the scent of his mom and siblings — but even after the smell wore off, they remained precious to the puppy. When it came time to relax and go to bed, Bentley would grab one of these two items and drift off happily. Now, at almost 2 years old, Bentley’s obsession with his blanket has evolved into an adorable nightly ritual. 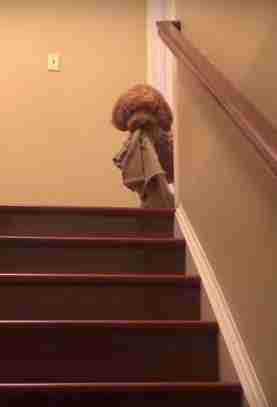 Before heading upstairs to his parents’ bedroom for lights out, the dog will grab something extra to snuggle. While it’s not necessarily comfortable for his parents to have the extra items in bed, at least the good boy cleans up after himself. “He also usually carries the item back down the stairs in the morning,” Madsen noted. Bentley’s blanket and stuffed dog have now become shredded with age, so the pup has started looking farther afield for bed companions. He now brings whatever item he is most enamored with at the moment. Each phase will last about a week, and then the pup will be on the hunt for a new bed partner. Why Bentley needs the extra company when he’s doing his business remains a mystery. “Our only attempt at a guess is separation anxiety because he loves being near me or my husband so it might give him comfort,” Madsen said. 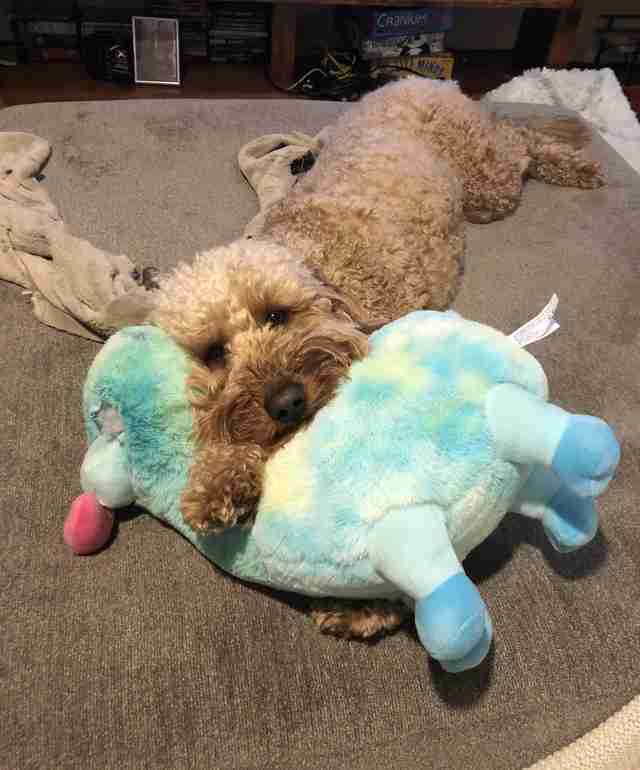 Bentley’s parents wouldn’t change their dog’s hilarious quirks for the world — even if it does mean occasionally sharing their bed with a giant moose toy. To learn more about Bentley’s bedtime rituals, you can follow him on Instagram.